New Delhi : Prime Minister Narendra Modi pulled of another diplomatic coup by inviting US President Barack Obama to India. - Obama will be the chief guest for R-Day parade on 26 January 2015. 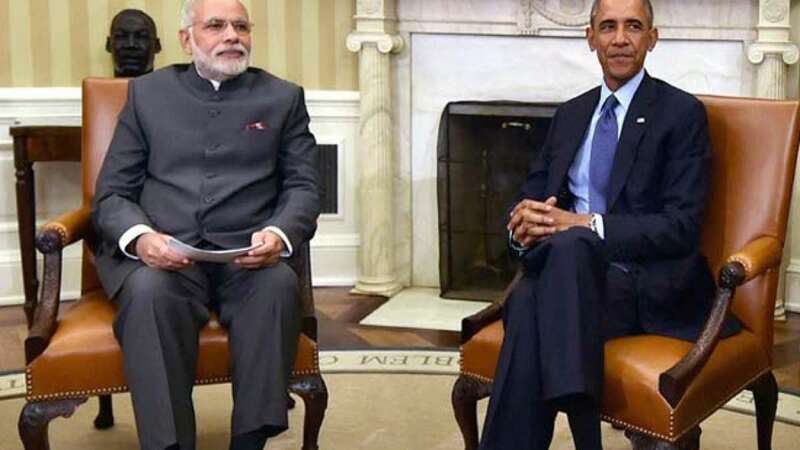 - White house confirmed that Obama has accepted Modi's invite. - Modi will be the first US President to grace the event. - "This Republic Day we hope to have a friend over....invited President Obama to be the 1st US President to grace the occassion as chief guest," PM Modi tweeted. - Minutes later White House confirmed that Obama will be traveling to India on 26th January 2015. - Well, this would be interesting to see how Obama will recalibrate the dates for his State of Union address, which happens on January end or first week of February.